Saks Fifth Avenue proudly announces the 20th Anniversary of Key To The Cure (KTTC), its annual charitable initiative to fight cancer. Actress, comedian and producer Julia Louis Dreyfus is the official 2018 KTTC Ambassador and Designer Wes Gordon of Carolina Herrera designed the exclusive, limited edition t-shirt. The campaign kicks off October 1, 2018 and runs through October 31, 2018. 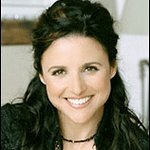 Julia Louis-Dreyfus, as the KTTC Ambassador, appears in a 360 degree KTTC campaign, including advertising, a national public service announcement, saks.com and catalog features, an event, video and social media. Designer Wes Gordon of Carolina Herrera, a house which epitomizes feminine elegance and strength, created the 2018 Key To The Cure exclusive, limited edition t-shirt in partnership with Julia Louis-Dreyfus — the first KTTC ambassador to do so. The design features bold colored poppies along with the slogan, “We are fighters & we are fighting for a cure,” and will be available for purchase from October 1 through October 31 at all Saks Fifth Avenue locations in the U.S. and Canada as well as on saks.com; customers may pre-order the KTTC t-shirt here: saksfifthavenue.com/keytothecure. Gordon will host a public KTTC t-shirt signing at the Saks Fifth Avenue New York flagship (3rd Floor, 611 Fifth Avenue) from 2 to 3pm ET on October 18, 2018. “I was absolutely honored to work with Julia Louis-Dreyfus and Saks Fifth Avenue to create the design for this year’s Key To The Cure shirt. With generous contributions from KTTC and the AiRS Foundation, women and their families are able to receive amazing support during a very difficult time. We are in the fight of breast cancer together,” stated Wes Gordon, Creative Director of Carolina Herrera. As part of the 20th anniversary, Saks partnered with media brand InStyle. To support the charitable cause and help raise awareness for the initiative, InStyle’s October 2018 issue includes a feature with KTTC ambassador Julia Louis-Dreyfus and a special editors letter, as well as a KTTC video produced by the brand.